Back in 2010 and quite by accident, I stumbled across Canadian multi-instrumentalist Dean Watson with the release of his impressive debut album, Unsettled. Equally enjoyable was Imposing Elements released two years later, at which point Mr Watson fell off my radar again, but by chance he has resurfaced with Sum Of Parts, his fourth instrumental album released in the summer of this year. As with previous releases, all the instrumentation is by Dean himself, equally adept on both keyboards and guitar. He also has a good ear for a strong melody, an uncanny knack of selecting just the right sounds and there’s a sense of déjà vu with the material, but never one that directly leads to a specific track. Sum Of Parts treads a similar path to previous releases, with an ear-friendly mixture of well written and executed tunes that coax you in and leave you hungry for more. The music is complex, but not overly so, it has a gritty prog-rock edge, but never bludgeoning, it encompasses jazz-rock and fusion elements, but never strays too far from the original ideas and concept. So perhaps the Sum Of Parts might elude to the diverse influences that go in to making the music, or equally it may be down to the fact that Dean constructs his tracks from the ground upwards. Either way the end result is greater than the sum of it’s constituent parts. 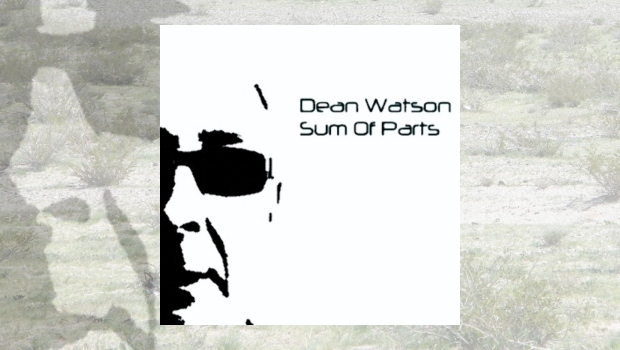 So with four albums under his belt, why haven’t the greater music buying public heard more from Dean Watson? I believe there are two crucial elements holding Dean back from becoming a recognised figurehead. Firstly we must address the fact that he is studio based and no band exists to support the music. In a previous review I complimented Dean on his programming and the effectiveness of the drum parts, however in the same review I mooted the idea that with the right drummer (and bass player) the material would surely be elevated to the levels his guitar and keyboard skills achieve. And that’s not a bad thing really, certainly when you consider that there isn’t a bad track on Sum Of Parts. You can pretty much jump in at track one, or track eight, or anywhere in between, and if the above references have piqued your interest, you will be pleasantly surprised.